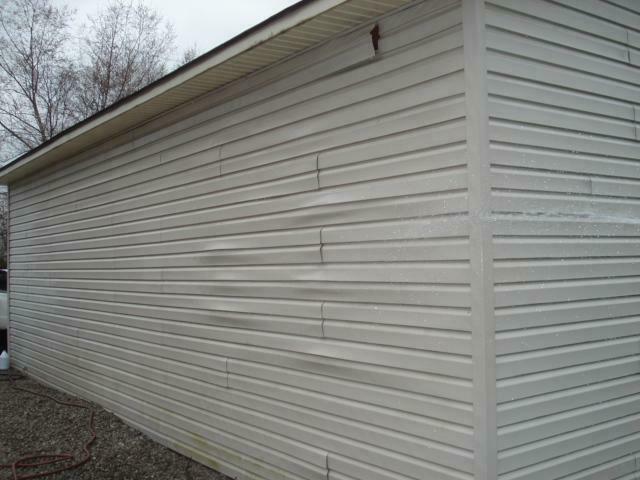 The #1 cause of HardiePlank failure and the voidance of Hardie’s warranty in the Carolina’s is improper installation. 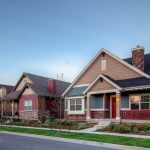 A home will not qualify for coverage if their contractor did not abide by EVERY install guideline set forth by the manufacturer. Hiring a skilled contractor is critical to Hardie’s success on your home. 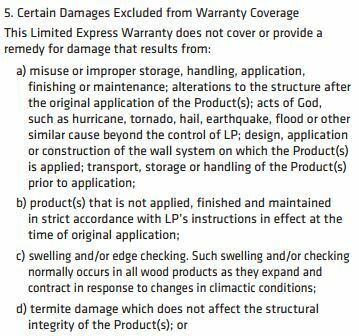 Warranty coverage provides protection against product failure and assurance in a manufacturers belief that they provide consumers with quality products. 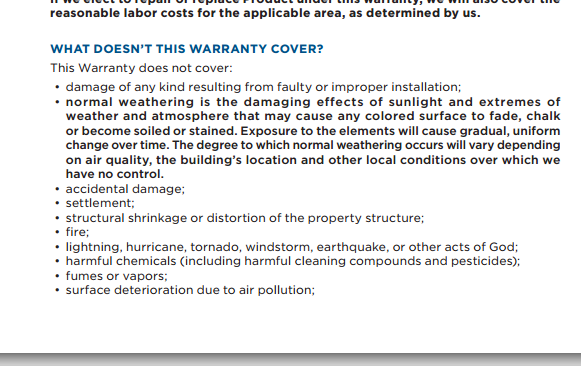 A comprehensive warranty shields homeowners against product failure. It also ensures the homeowner that their investment is insured by the manufacturer. We have good news! Hardie supplies our homeowners with the best siding warranty in the building products industry. 30 Years for the material and 15 years for the Color-Plus paint finish. Hardie offers a REAL warranty, unlike the Lifetime Warranties that other manufacturers promote. 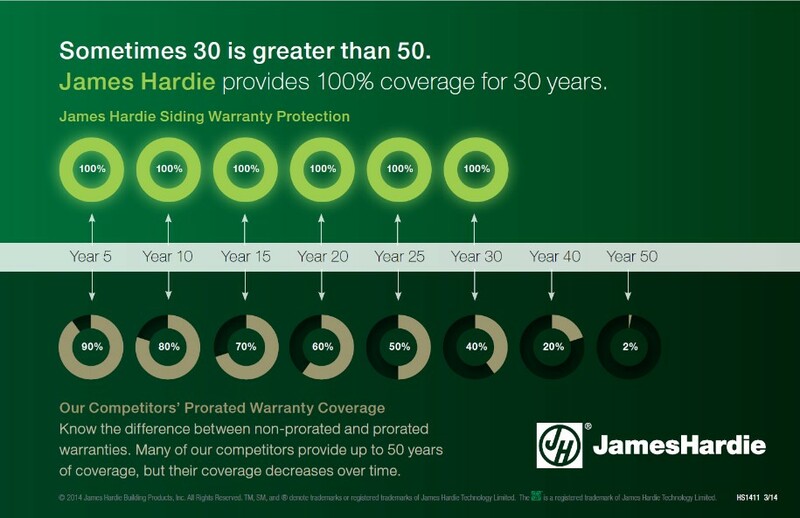 Unlike virtually every other manufacturer, Hardie’s warranty offers coverage that does not decrease over time. Read the fine print! Vinyl warranties depreciate by an average of 2% each year. Increase your homes resale value by transferring your Hardie warranty to the next homeowner. It seems like a cheap trick to disqualify a homeowner from a warranty if they did not fill out a piece of paper within 30-90 days. 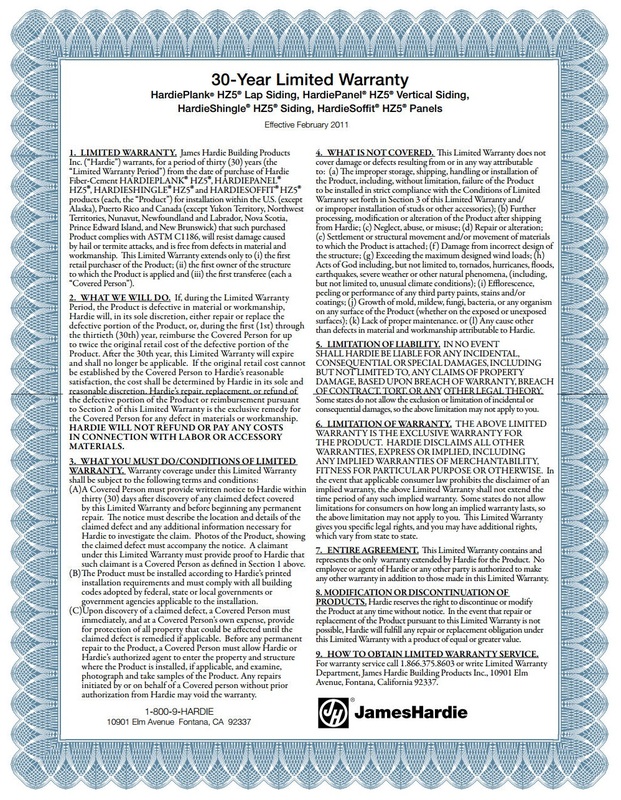 Hardie will grant warranty coverage to any homeowner that hired a contractor who properly installed the material. Hardie’s coverage is worth up to twice the original value of the material. In other words, if your siding material cost was $10,000 then Hardie will pay up to $20,000. This will help sooth labor costs if your material prematurely fails. Click the below links to view some other warranties on the market with highlighted areas of concern. Sometimes less is more. 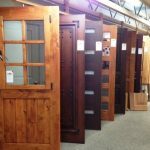 Be confident in your purchase decision. Enjoy 30 years of Complete Coverage from James Hardie.